If it wasn’t for your garage door springs, your garage door wouldn’t be able to open and close as easily and safely as it does now. So, they need a lot of care and attention. The first question is, do you know what type of spring operates your garage door? Most commercial and residential garages use torsion springs. Let’s look at the difference between these and extension springs, and consider why they are so popular. What makes torsion springs better than extension springs? Longevity – Because they wind up and unwind rather than expanding and contracting, torsion springs suffer less wear and tear than extension springs. This means they won’t need replacing as often. Torsion springs last around 15,000 – 20,000 turns, doubling the longevity of extension springs at 10,000 turns. Safety – It can be extremely dangerous when your garage door spring breaks, especially if your garage door is open at the time. While breakage of both types of springs will cause the door to crash down, only the extension spring can cause harm by flying off and hitting someone or something. The torsion spring will stay intact when it breaks, minimizing the damage caused. Efficiency – If a smoothly-operating door is your priority, then torsion springs are superior here, too. An extension spring tends to open your garage door in a jerky manner, while torsion springs open and close your door in a smooth motion. Maintenance – Because they wear out more easily, extension springs tend to require more maintenance than torsion springs. The latter is also easier to lubricate, which helps to keep the spring in good condition. When should you choose extension springs? With all these benefits of using torsion springs for your garage door, are there any circumstances where you should opt for an extension spring first. Well, the main downside of torsion springs is their cost. Extension springs are cheaper than torsion springs, so you might want to choose them as the more budget-friendly option. However, bear in mind that they are likely to fail sooner, which could add up to more cost in the long run. Because torsion springs are placed above the garage door, extension springs may sometimes need to be used when there is not enough space to fit a torsion spring system. Just make sure you give your extension spring enough attention and maintenance to keep it safe and efficient. 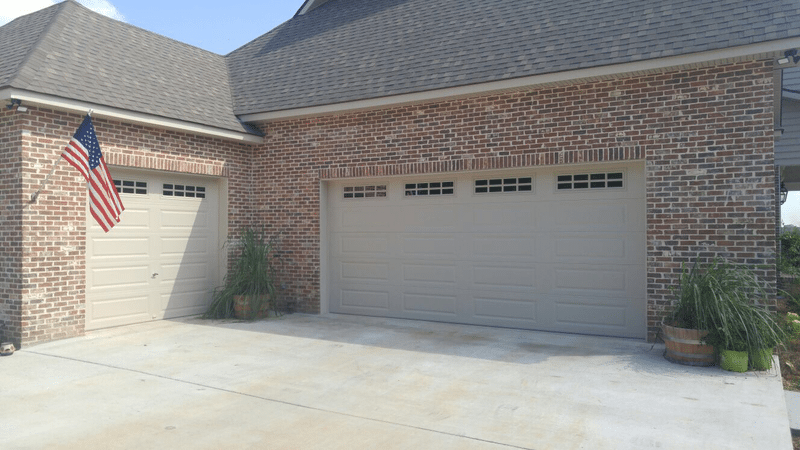 If you need a garage door tune-up or a new garage door, contact Carolina Garage Door for our services in and around Winston Salem, Greensboro, Kernersville, and High Point.